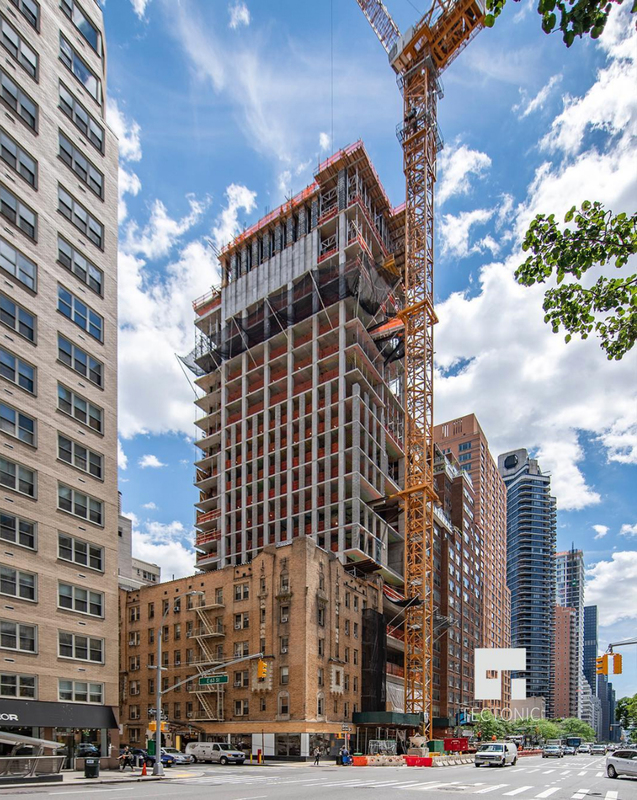 1059 Third Avenue is climbing steadily toward its 481-foot and 30-story pinnacle on the Upper East Side, a milestone that is more than likely to be reached before the end of this year. The 127,000 square foot building is designed by Manuel Glas Architects and developed by Real Estate Inverland and Third Palm Capital. 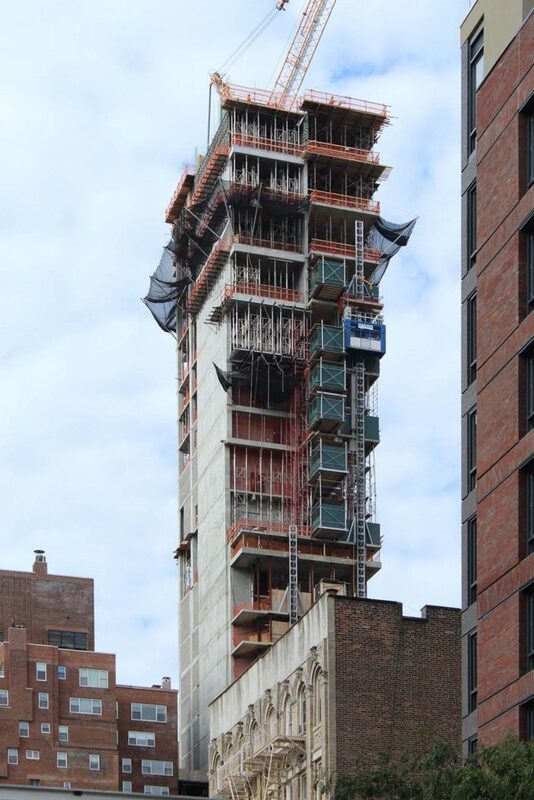 Since YIMBY’s last update back in July, the building had crossed the halfway mark, and now has about five floors left before construction workers reach the top. Created from a reinforced concrete, the building’s structure includes multiple shifts in its profile that yield outdoor terraces, extra corner windows, and a play of solids and voids. The facade changes on all four sides in response to the lighting condition, core placement, neighboring skyscrapers, and views. A mix of thin vertical windows and mullions line the southern elevation hiding the core walls, while large floor-to-ceiling glass ribbon windows are present on the east and west facade that face the East River and most importantly, Central Park. All these aspects and details give the building a more interesting character than just a plain glass box. 103,900 square feet will go towards the 38 condominiums that start on the sixth floor, and average around 2,740 square feet. 7,100 square feet will be used for office space on the second floor ,while a hospital facility will take up around 9,700 square feet on the third and fourth floors. 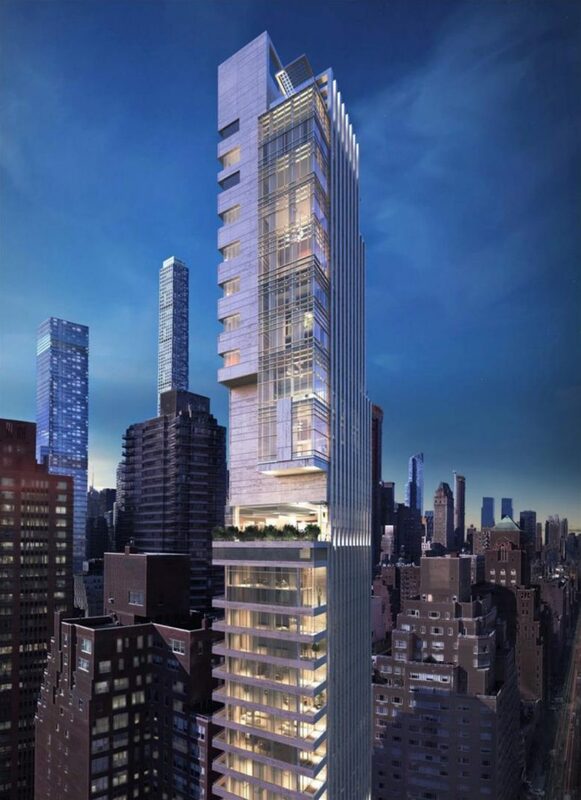 Amenities for 1059 Third Avenue include a fitness center, a spa, and a residential lounge. 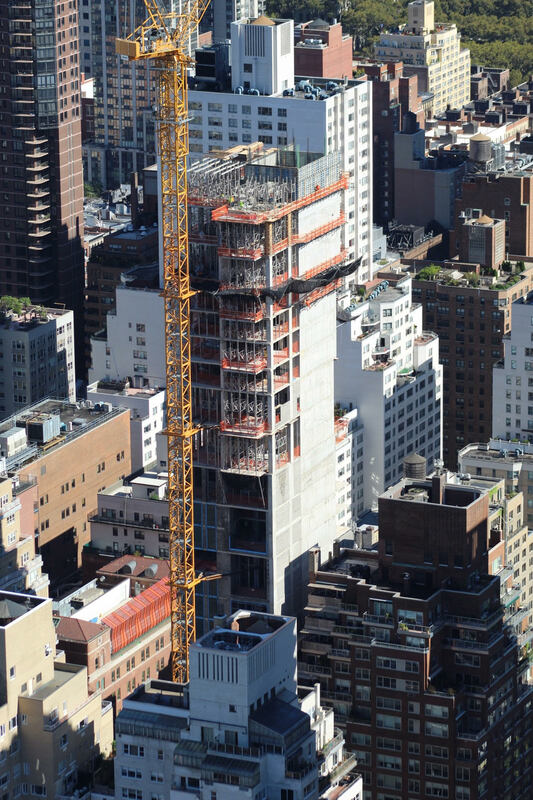 When finished, 1059 Third Avenue will be one of the tallest skyscrapers on the Upper East Side. Completion of the entire project is expected in the latter half of 2019. 2 Comments on "1059 Third Avenue’s Cantilevering Figure Nearing 481-Foot Pinnacle On The Upper East Side"
Please pardon me for using your space: Naked structure not complete. But natty.